There are a few options available to those wanting to run Android apps on a Windows machine. The first, and oldest, is the official Android emulator; there’s also Bluestacks, which has been around for a while. Today another contender emerges — WindowsAndroid, from Chinese startup SocketeQ. Unlike the emulator, it runs Android natively on your Windows PC, and unlike Bluestacks it brings to life the full Android OS, not just individual apps. Essentially, it’s full-blown open-source Android running natively, in a window, on Microsoft’s desktop OS. The current version is based upon Android 4.0.3 Ice Cream Sandwich; SocketeQ says that a “new version” is being planned, presumably based on the newer Jelly Bean. It uses the Android tablet UI, and you can control things using the keyboard and mouse. On the whole, it’s a pretty speedy, if slightly buggy experience. We used WindowsAndroid on a 3GHz Core 2 Quad rig — by no means bleeding edge — and the whole OS ran smoothly without taxing the CPU too much. There are some glitches to watch out for, though. Certain tasks, like trying to load the camera, will result in a crash, and loading some websites in the browser will result in an error message, accompanied by missing images. So it’s still early days for WindowsAndroid at present. What’s great for hackers is that the entire directory/partition structure of Android can be fiddled with directly through Windows — just navigate to C:\SocketeQ\windowsandroid_root, assuming you’ve installed it to the default location. That means sideloading apps is simply a matter of loading the relevant files into /data/app. The WindowsAndroid installer weighs in at 64MB, and takes up 300MB when fully installed. You can find download locations over at the source link; it’s also mirrored elsewhere if you’re having trouble downloading via the overloaded official server. 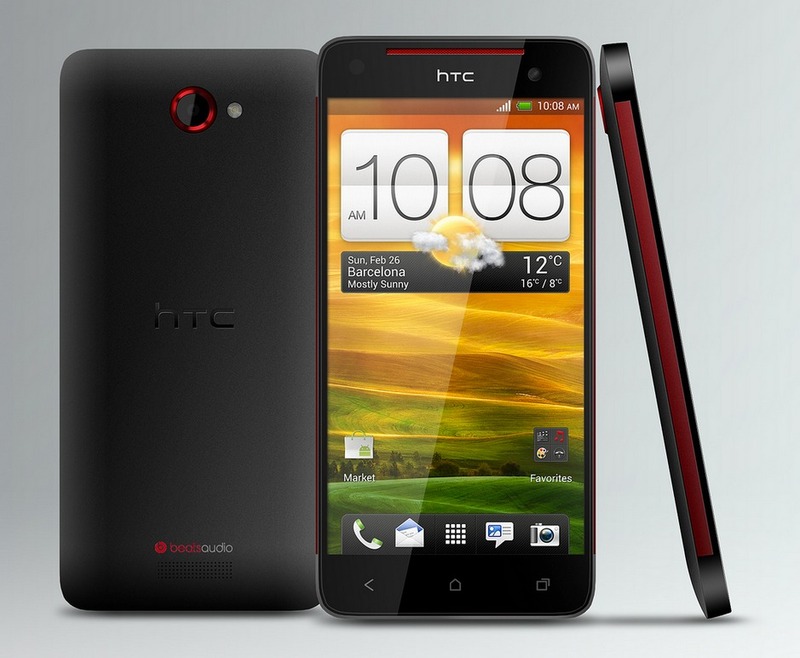 Like its Japanese counterpart, the HTC J Butterfly, the DLX is HTC’s first extra large smartphone and is headed for Verizon. The DLX will ship with Android 4.1.1 and sports a quad-core processor with 2GB of RAM. HTC seems to be growing restless with its One devices, recently showing off the impressive One X+ and now a new device called the HTC DLX. Previously, we brought you news of the Htc J Butterfly, a 1080p, 5-inch smartphone that would only be available in Japan. According to Android Central, the DLX will come with similar specifications but be made available in North America. Verizon is the lucky carrier that will be offering HTC’s newest flagship device, a first for the United States’ largest carrier. Verizon originally shunned the HTC One line so it’s about time HTC returned to the service provider. The DLX (apparently pronounced “deluxe”) also physically resembles its Japanese counterpart. The HTC J Butterfly and HTC DLX are the manufacturer’s first super-sized devices, boasting a 1080p 5-inch display with an incredible 440ppi pixel density. The DLX will pack either an 8MP or 12MP rear shooter (obviously we’re hoping for the latter) with a quad-core processor, 2GB of RAM, and 16GB of internal storage. The processor is most likely the 1.5GHz Qualcomm Snapdragon S4 Pro. As for battery, there’s a non-removable 2500 mAh on board. Android Central’s sources say the casing is similar to the Droid Incredible 2, meaning soft-touch rather than polycarbonate. Verizon’s branding shows up in the usual way, with red accents on the bezel, volume rocker, and rear camera. There’s also the expected 4G LTE logo on the back. The DLX has nixed software buttons for physical ones here and they’re laid out in the typical HTC fashion as back, home, and recent apps. Rear speaker keeps the same design as the One X, and by the looks of the photo will continue to feature Beats Audio. The DLX will ship with Android 4.1.1 even though 4.1.2 is already out in the wild — still better than Ice Cream Sandwich — but feature Sense 4+ because manufacturers still won’t let go of Android skins. Hopefully this will be HTC’s last deviation from the One moniker. HTC’s been doing so well in keeping its products streamlined and easier to understand when compared to previous years when it was nearly impossible to tell HTC’s flagships from the mid and lower-range phones. It’s important to keep in mind as well, that there has been no official word from either Verizon or HTC as of yet but the sources are pointing to a November launch. Google+ hangout is one of the impressive feature on Google+, which allows you to start a multi-user video conferencing with your friends. Facebook has also the video chat feature, but you can use it one on one only, That means you can start video chat with one friend only at a time. Now you can enjoy the same Google+ hangout feature on your Facebook with Oovoo, Oovoo allows users to hold up video chats with up to 12 people at a same time. 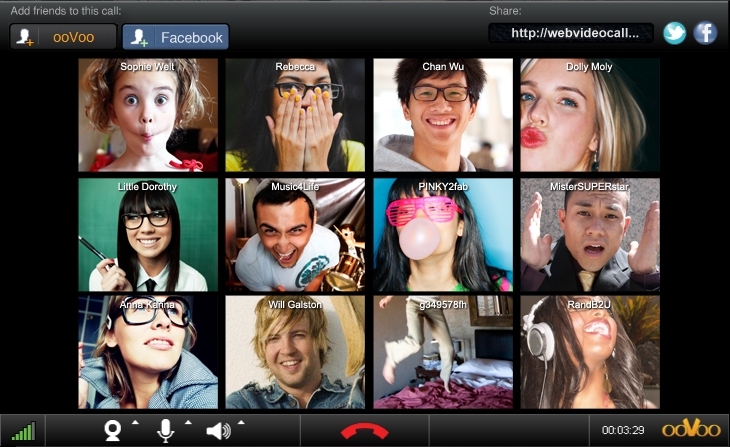 Oovoo is a free app available for Windows, MAC, iPhone and Android Phone users. 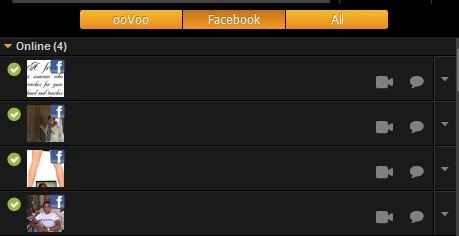 With the Free Oovoo app you can also record the video conversation with your friends and upload them to YouTube, Facebook and Twitter. To start the multi-user video conferencing on Facebook you have to download and install the app on your Windows PC or MAC. Step 1. Download the Oovoo app from here and install on your desktop to start 12-way video chat to hang out with your friends and stay close to family. Step 2. After the installation, run the app form your desktop. Now you can login the app with your Facebook Login ID o get the list of all your facebook friends on the app. Step 3. 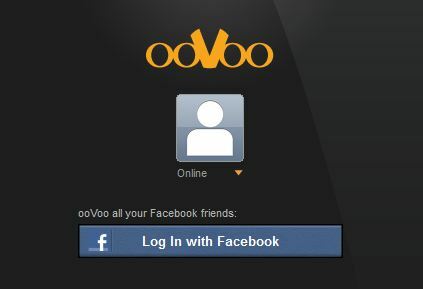 When you log in to ooVoo with your Facebook ID you will be able to see and chat with your FB friends. Step 4. Now you are ready for the Video chat up to twelve friends, family members or colleagues at the same time – with video quality that’s like being face-to-face in the same room. Also you can record your ooVoo Video chats to create instant memories and save your video chats as AVI, FLV or HTML embedded video. It has one more interesting feature Call link, With this, you can send a chat invitation to your friends through email, text or social media. The person sent the invitation needs only click on the link and they are taken to a Web based version of Oovoo to join the chat immediately.